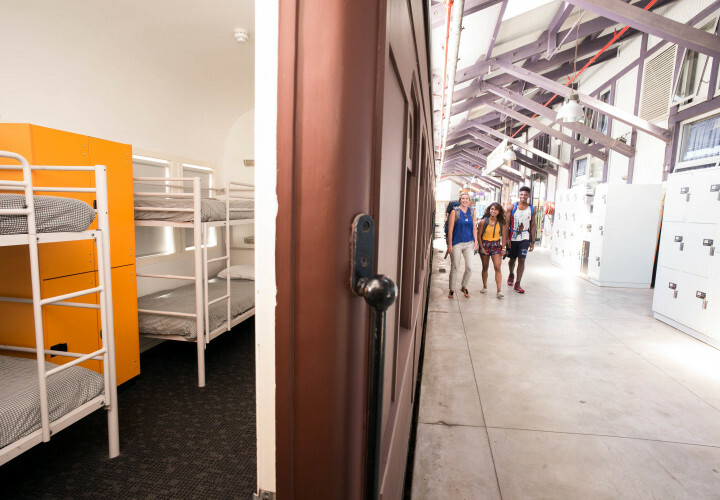 Sydney's most laid-back hostel, Railway Square YHA adjoins Central Station and offers railway carriage rooms in the heart of Sydney. 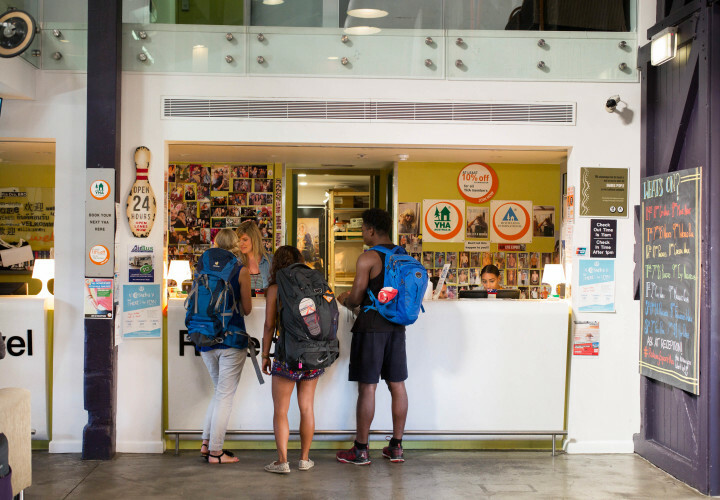 Sydney's most laid back hostel, Railway Square adjoins Central Station and is in the heart of Sydney's backpacker district. 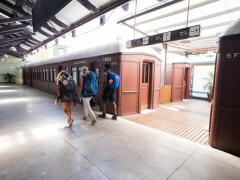 For something different, guests can stay in one of the funky railway carriages on the former Platform Zero, or try one of the comfy rooms in the historic 1904 main building, now converted into contemporary modern accommodation. 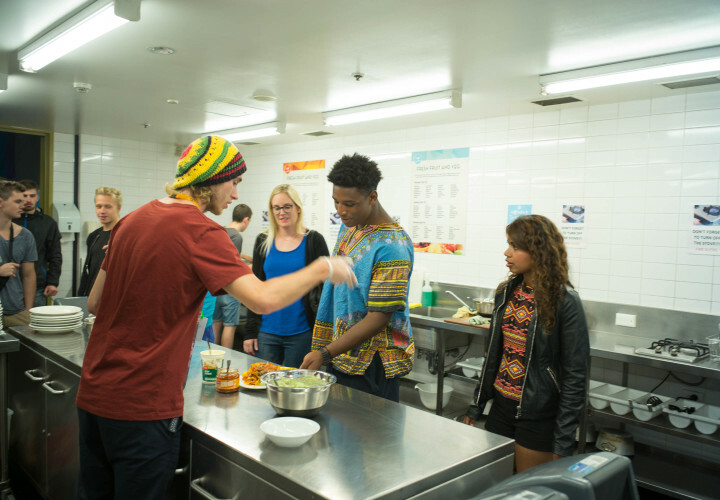 Hostel facilities include a spa pool, Internet cafe, 24-hour access, tour desk, indoor and outdoor communal areas and a self-catering kitchen. 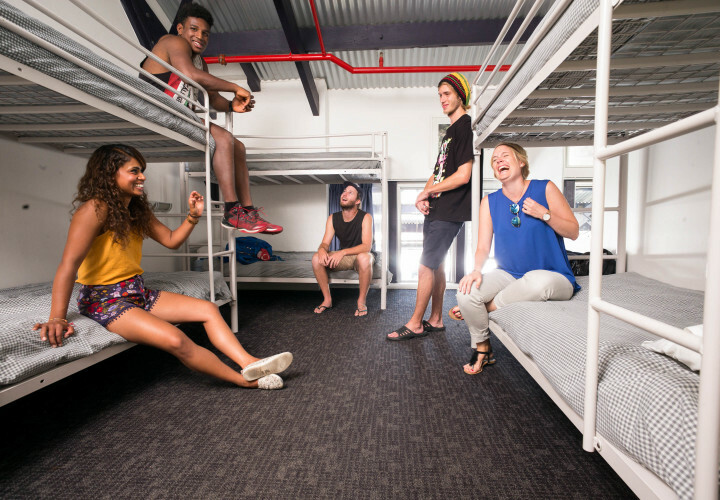 This fun Sydney hostel also has an activities and entertainment program. 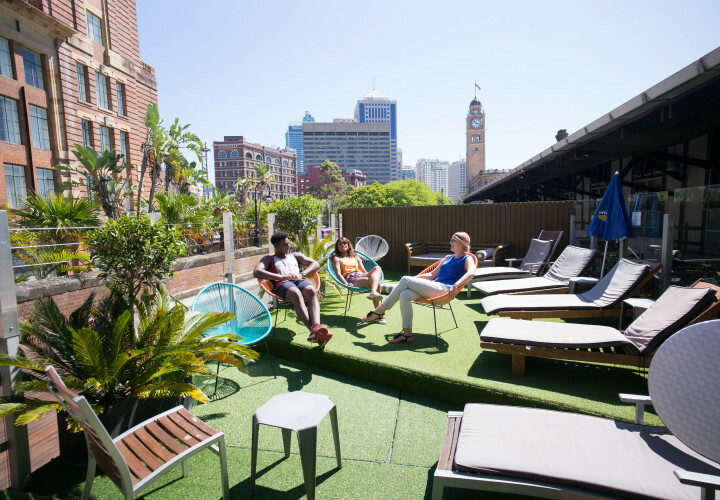 In a convenient location, guests can walk to nearby pubs, Chinatown and Darling Harbour. 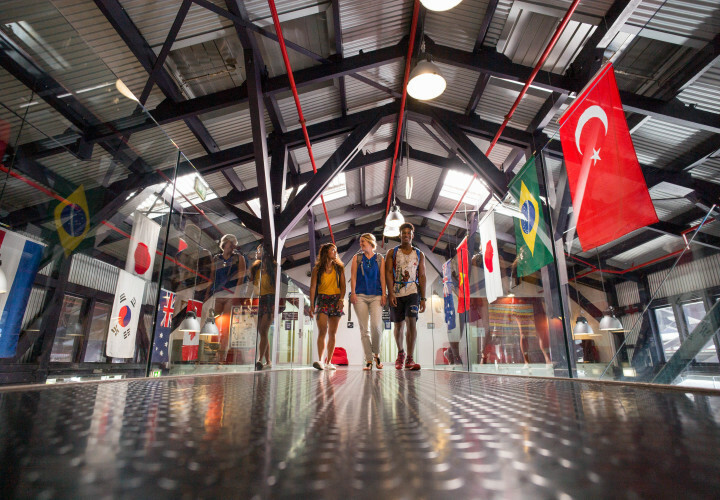 Australia’s largest and most famous city, Sydney is home to beautiful beaches, iconic buildings, historic landmarks, award-winning restaurants, and a uniquely vibrant culture. 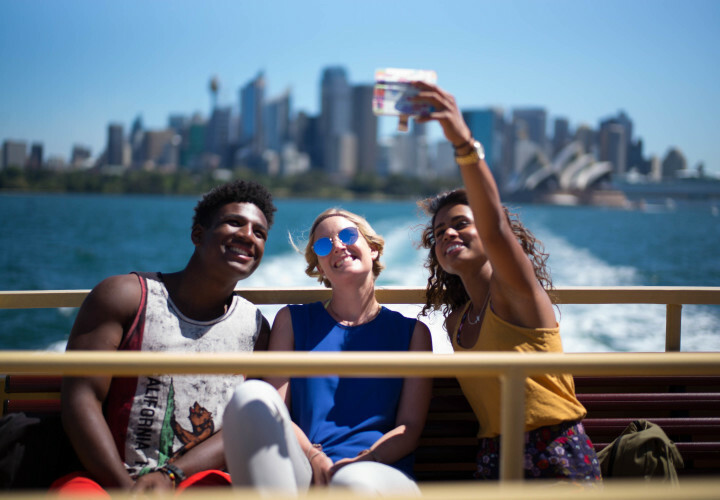 From the breath-taking views of Sydney Harbour to the peaceful Hyde Park, Sydney has something for everyone. Bien placé et bon potentiel mais pas nettoyé assez régulièrement lorsque nous y étions et donc les parties communes (les canapés, les tables) et les sanitaires laissaient à désirer; c'est la moins propre des 5 AJ où nous sommes allées en Australie. Et en plus, mon amie et moi n'étions pas dans la même chambre alors que nous avions réservé longtemps à l'avance, et le prix à payer ne correspondait pas à notre réservation donc le premier contact n'a pas été très bon même si notre interlocuteur a modifié le prix sans problème et a voulu compenser les 2 chambres en nous offrant les petits déj, ce qui est très sympa. J'imagine que lorsque l'AJ n'est pas complète il n'y a pas tous ces désagréments, et elle a quand même des bons côtés comme la terrasse par exemple ou la cuisine qui est bien organisée. 7km to Sydney Airport. 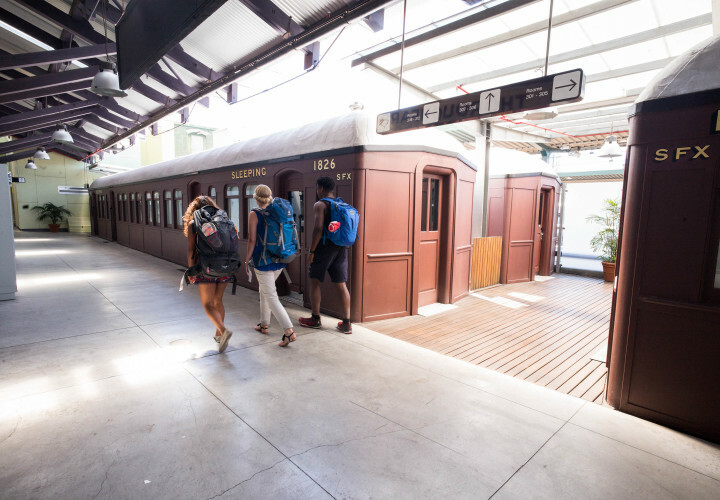 Take the airport shuttle to Sydney Central station exit onto Devonshire St and walk through the pedestrian tunnel to the backpacker hostel. 350 metres to coach terminal on Eddy Avenue. 30 metres to city bus terminals at Railway Square. 250 metres to Sydney Central Station. Follow the Railway Square YHA signs in the station to the YHA Hostel.